It's no secret that modern food production is anything but sustainable and unable to feed a growing world population in the long-term. The good news is that numerous solutions are on the way. The ProVeg New Food Conference is dedicated to shining a light on many of these potentially world-changing culinary technologies. 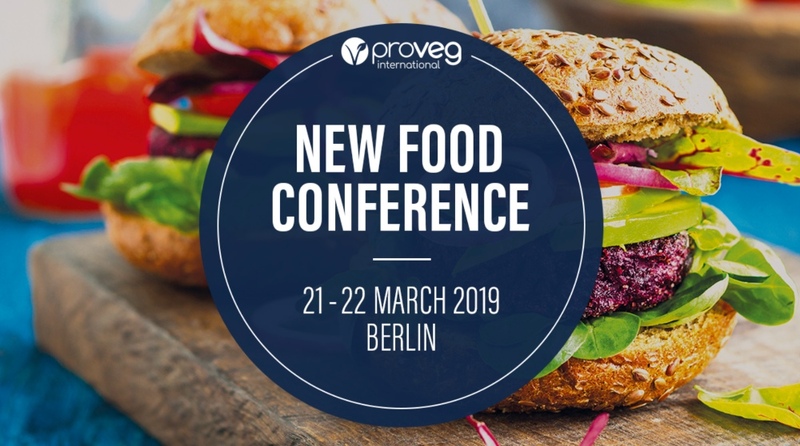 On March 21-22 2019, ProVeg International will be hosting scientists, industry representatives, and other experts, who will be discussing novel protein alternatives and new approaches to reducing the consumption of animal products. New protein is one of the most discussed topics in the global food industry. With many innovative ideas and new approaches emerging, the field is rapidly expanding. While there are already a few conferences on plant-based and cultured meat in the US, there is no internationally relevant event in Europe – making the New Food Conference in Berlin the first of its kind. The first day of the conference will be dedicated to plant-based proteins and current developments in the European market, while the second day will focus on cell-based proteins such as clean meat. The conference will bring together international stakeholders from the food industry, as well as startups, investors, and scientists, and will serve as a platform for the exchange of the latest news and developments in the field of plant-based proteins and cell-based animal products. With the main focus on consumer acceptance, the conference aims to raise positive media attention and public awareness. Experts, entrepreneurs, politicians and the media are invited to network and critically discuss the opportunities and challenges of animal-free food alternatives. Please join us at the New Food Conference and be part of tomorrow's food solutions.